The MacCampus font "Kirill" is the digital re-creation of the Glagolitic printing type which famous slavist Pavel Jozef Šafárik ordered to be cut in Prague in 1852. 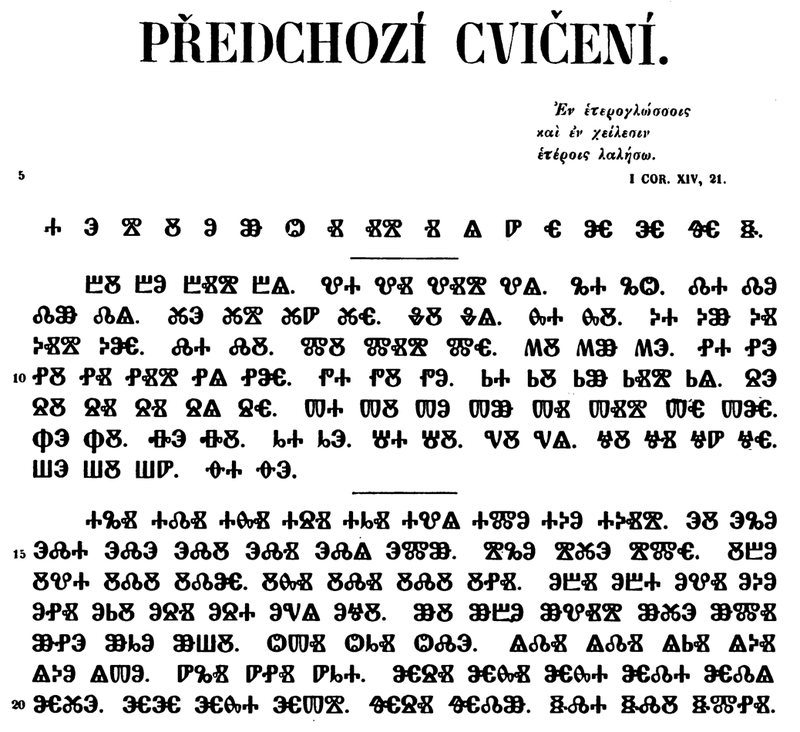 His book "Památky hlaholského písemnictvi" (Prague 1853) showcased this beautiful type - the beginning of the first text page (p. 37) can be seen above. This type has been used by editions of Old Church Slavonic texts and textbooks ever since. Thus, "Kirill" is today's version of the classic Academic printing type for Glagolitic. Go the Glagolitic fonts page. See the author's cross-over design of a "Latin" Glagolitic type.